Frozen Silver Shimmer Paper is a unique style of paper that has a wide variety of uses and is sure to create a impressive final product; whether that be a Christmas / Holiday letter to family, a custom made invitations for a wedding, or a custom thank you card for clients. 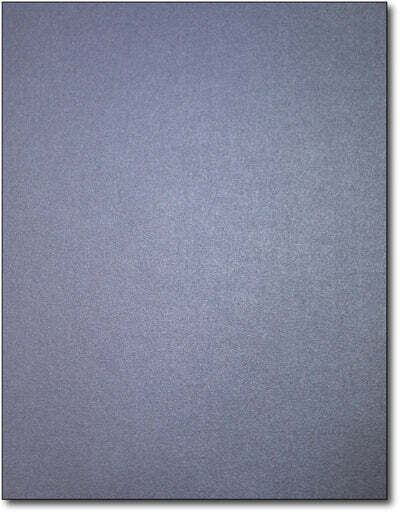 This paper has a blue shimmer surface on both sides of the sheet and works with Inkjet or Laser printers. Each sheet measures the standard letter size of 8 1/2" x 11" and is made from a premium 80lb text stock.